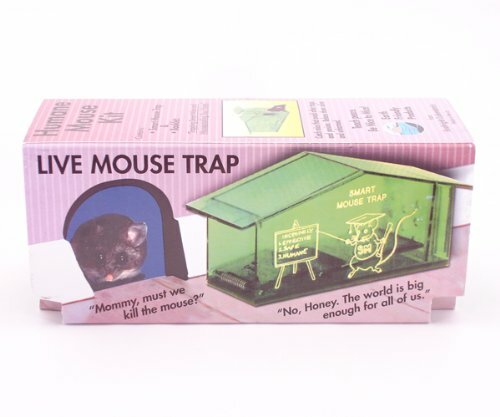 For those who prefer to put a compassionate end to an influx of mice in homes or other human habitat, humane mousetraps are preferred over a standard mouse trap. Check them out here. 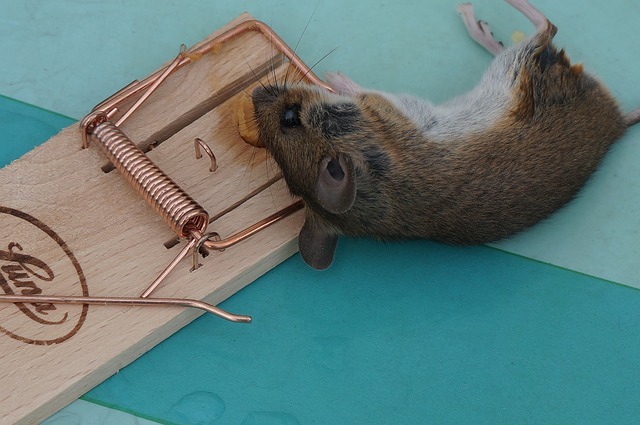 These devices deal with the rodents in a sympathetic way, either enabling their trapping and release away from the home, or putting an end to their lives less painfully than Snap traps or poisoned bait. At the end of the day, the humane cage you select should not only be effective, but must also be cost effective and meet your humane pest control objectives. Selecting a cage that meets most, if not all, of the above criteria will ensure that you buy what’s right for your specific mouse control needs. Safe, reusable and simple to deploy, this cage is endorsed by many Humane Societies and Animal Rights groups globally. Easy to clean, it is the ideal no-kill trap that can be used by anyone wanting to implement a catch-and-release strategy. Made from hard plastic, this device is prone to cracking easily if not handled with extreme care, or even when assembling. The tiny plastic latch that holds the trap-door shut can also easily be gnawed by rodents determined for freedom. Also, if the mice you are attempting to trap are extremely light, they could still enter the cage, eat the bait, and exit without setting it off. The simple trap-door design, and compact elegant size of this cage makes it ideal for use almost anywhere, even in confined spaces. You can see the mice caught in it, and all you need to do is tilt the cage away from the home (or office) to release the rodents. By simply rinsing the trap in water or a bleach solution, and drying it, it’s ready for another round of mouse catching. Unfortunately, this cage comes without any ventilation or breathing holes. The mice trapped inside have a rather difficult time surviving for too long, especially if you are away for several days before you execute your catch-release mission. This is a simple yet highly effective contraption. It uses the laws of physics to ensure mice, that enter the elongated tunnel-like structure, cause the trap to tip over, thus trapping them alive inside. Made from polypropylene, this is an easy device to clean without leaving odors behind. The trap needs to be set very carefully if it is to be effective. Loading it with too much bait could cause an imbalance in weight which may cause tipping back and releasing the trapped mouse. Also, if placed flush against walls, or near heavily trafficked areas, vibrations from the home (and surroundings) may also lead to the trap malfunctioning. 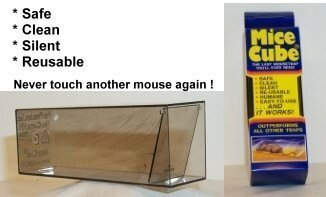 Made out of durable material, this device is a great reusable mouse trap that catches mice alive for later release away from your home or premises. 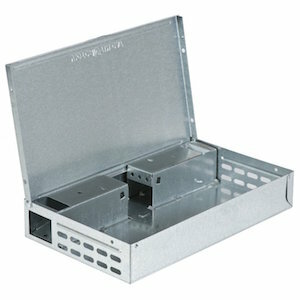 Its design makes it simple and easy to deploy, and even easier to release the trapped rodents. 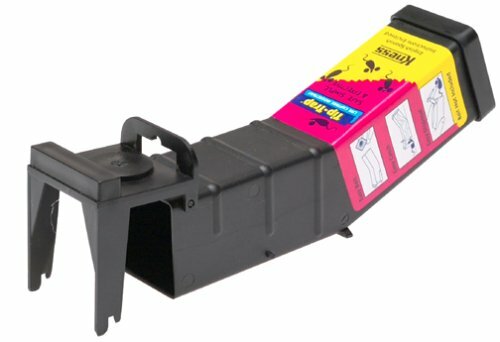 It can be used around pets, food and children too, and you can clean the trap easily before reusing it. 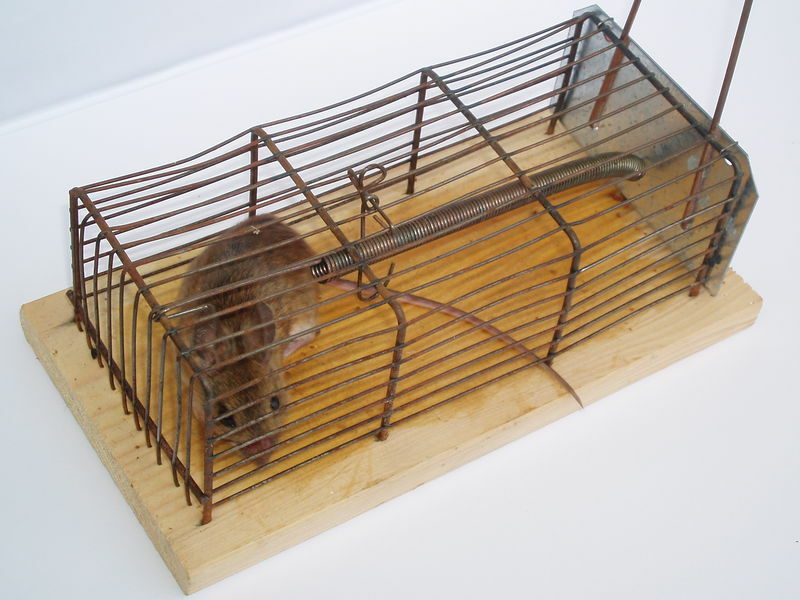 You need to check on your trap every day because otherwise the trapped mice will die of starvation or dehumidification. Also, since it has a metal casing, heat and cold can transfer easily, making it a rather uncomfortable (and deadly) temporary shelter for your prisoners. Learn more pest control tips for homes infested with ﻿animals or you visit the Attic Pest Authority homepage!